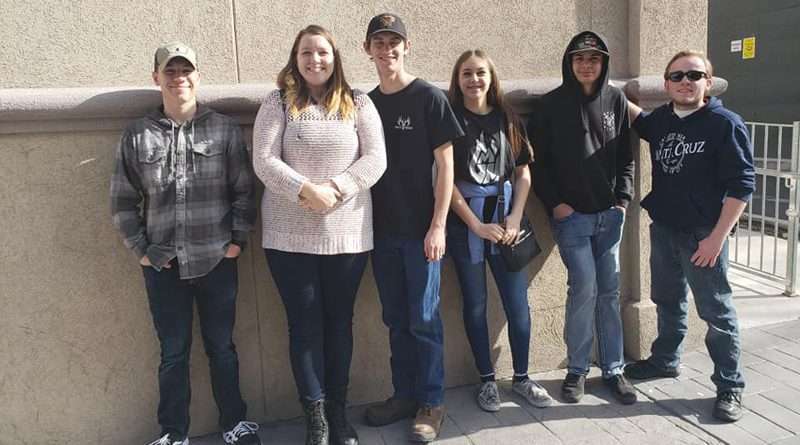 The Susanville Police Explorer Post 0406 may still be in it’s beginning stages, starting only in August 2016, but the group is already outgrowing other area programs and is gearing up for some large competitions. Currently, the group has 12 members — Captain Faith Soohoo, squad leader Sage Olson, squad leader Jacob Hatton, and explorers Gabe Gomez, Damien Crosno, Chase Roby, Austin Smith, Cody Smith, Dante Valerga, Vito Valerga, Arianna Parker and Doug Morrison — and in order to maintain their positions in the post, they have to keep up their GPAs and service hours. Initially, Soohoo, a Lassen Community College student, was geared for a law enforcement career, but changed her mind to pursuing writing. When she joined the explorers program, though, her desire to become a police officer came back. The group receives training in a variety of areas, including radio codes and procedures, report writing, California penal and vehicle code, traffic control, self-defense, first aid/CPR, traffic accident and crime scene assistance and emergency vehicle operations course. Through the program, explorers also get hands-on leadership and team working skills. The group is also preparing for two large competitions, in the beginning and end of summer, where their various police trainings skills will be put to the test. Overall, Avilla is proud of how hard they work and how well they do. In addition to their police training, which is similar to what they’d go through at the real police academy, the local explorers post spend quite a bit of time giving back to the community. “We get a lot of support from the community. So we support the community that supports us,” said Avilla. From having their main fundraisers, the Spring father – daughter dance and the Fall mother – son dance, the group also helps the Veteran’s of Foreign Wars, at the Holiday with a Hero event, and at various events like Lassen Family Services’ Dancing For a Brand New Me. The group is also working on a girl’s empowerment camp set for Spring Break. The group even got to participate in its Explorer Appreciation Day. 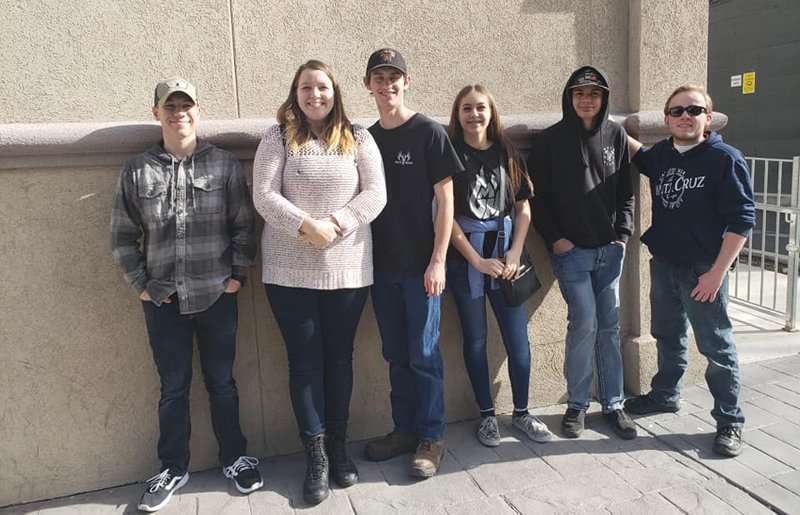 They went to Reno to visit the James D. Hoff Police Memorial, along with some other fun activities. According to Soohoo, there are some challenges to being a police explorer, mainly feeling like she always has to be a good example as she represents the police explorers group, but there are many benefits. She loves serving as captain for the group, always offering support to her fellow explorers, and she enjoys seeing the inside workings of law enforcement, not only what’s shown in the media. Explorers range in age from 14 to 21 years old, and come from a variety of schools: the local high school, charter schools and home schools. Soohoo explained the program is not just beneficial to those intending to enter into a law enforcement career, but would help anyone seeking leadership and professional skills. “Even if you don’t want to be a police officer, it’s an amazing thing to go through,” she said.